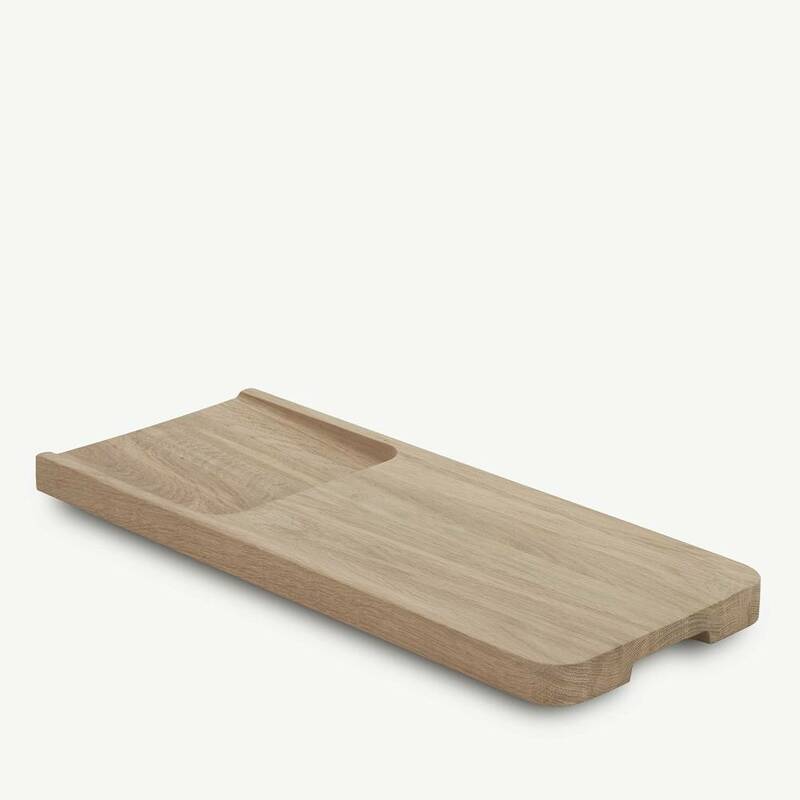 Chop board is a solid oak cutting board in two levels. The milled part of the board is used as a container for the chopped food, and functions as a launching pad making sure that all slices and dices are guided safely and straight into the pot or pan. 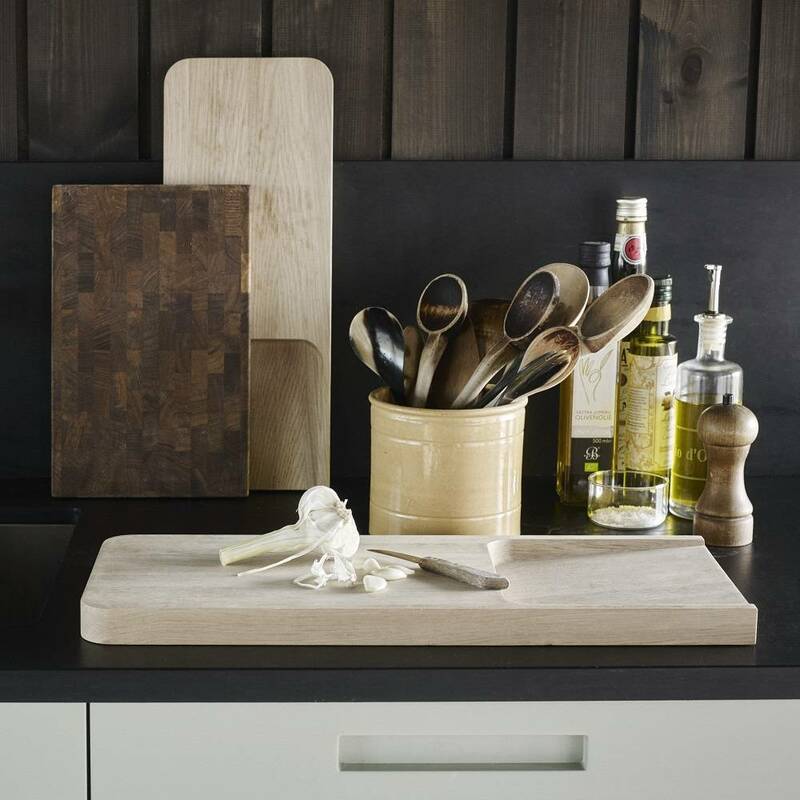 Terkel Skou Steffensen has found inspiration from something as simple as a shovel, which makes the Chop board a functional and unique tool for the kitchen. Understandable design for all. That is Terkel’s main vision as he creates functional objects made for quick integration in people’s everyday life. One important aspect in Terkel’s designing is to get the most out of the materials as possible. To him, the character of an object should be determined by its function – not the other way around – and the expression does not necessarily have to be innovative. Terkel likes to draw subtle references to classic designs and reinterpret them out from his point of view.